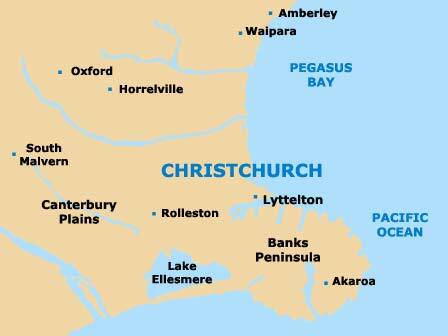 Families on holiday in Christchurch will find that there are lots of appealing and affordable attractions to choose between, although it should be noted that a number are now closed indefinitely following severe earthquake damage, such as the formerly popular Southern Encounter Aquarium and Kiwi House. Especially close to Christchurch International Airport and extremely noteworthy, the International Antarctic Centre is part of a vast complex built for the New Zealand Administration. With many hands-on activities and attractions, Science Alive is a safe bet for those with children, as is the Queen Elizabeth II Fun Park, Jellie Park Aqualand and the nearby Ferrymead Historic Park. 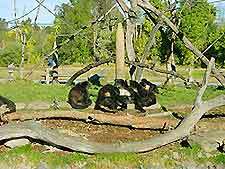 If zoos are more your kind of thing, then both the Orana Wildlife Park and the Willowbank Wildlife Reserve are on hand. 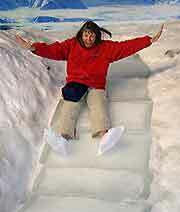 The Antarctic Centre contains many exciting hands-on exhibits, video presentations, a 'Snow and Ice Experience' with real snow slopes, snowmobile rides and educational activities, as well as fun rough-terrain 'Hagglund' rides aboard a real amphibious Antarctic vehicle. 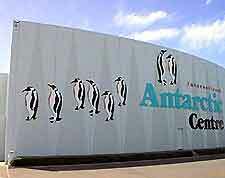 The NZ Penguin Encounter is a particular highlight, offering visitors the chance to observe a large group of Little Blue penguins, while the 12-minute 'Ice Voyage' film is screened throughout the day, on the hour, and depicts a cruise to the Antarctic Peninsula, complete with realistic 4D special effects to bring the footage to life. The Discovery Centre resides within the Canterbury museum complex, where it comes with numerous hands-on attractions suitable for children. There are natural history exhibits, and play and reading areas, along with a host of exploration activities, including handling Chilean rose tarantula spiders and digging for fossils. Situated in the very centre of Christchurch, Science Alive is filled with interactive, child-friendly science exhibits, workshops and fun activities, with off-street car parking being available. Containing large toys, puzzles, historic games, sound and music equipment, vertical slides, a human gyroscope and educational programmes, Science Alive can be reached from a number of main bus routes, including the city's free shuttle bus. The Science Shop is packed with educational toys, challenging puzzles and chemistry sets. Sited on the far north-westerly outskirts of the city, just past Cutler Park and the Burnett Range, the Orana Wildlife Park is an important conservation park with a host of different themed attractions. Featuring a walk-through aviary filled with native New Zealand birds; an 'African Plains' area with zoo favourites such as lions, giraffes, rhinos, lemurs, monkeys and zebras; safari bus tours and a children's farm area, you can be confident that the park will keep families more than occupied for many hours. For the brave, the Lion Encounter offers the chance to see these creatures feeding via a caged vehicle, with 20 tickets being available each day. Close to Christchurch International Airport and the suburb of Harewood, the Willowbank Wildlife Reserve is home to many of the country's most popular native animals, spread within three main themed areas - Wild, Heritage and Natural New Zealand. There are plenty of opportunities to observe kiwis close up in their nocturnal house, while visitors will also find large trout and salmon ponds, 'Alpine Aviaries' with Kea mountain parrots, and a 'Village Aviary' with native pigeons. There is also an eel pond and a farmyard area, with friendly goats, sheep, pigs and horses, with additional attractions including guided night tours, a restaurant, an authentic Maori Cultural Experience and a host of fun activities. Jellie Park Aqualand can be found on the north-western outskirts, next to Burnside, where it is the perfect place to come on hot, sunny days in the city. Featuring two 25-metre / 82-foot indoor pools and a huge 50-metre / 164-foot outdoor swimming pool, diving boards, fast water slides and quiet family picnic spots, children will always enjoy spending time here. Grown-ups will appreciate the fitness centre, the sauna and steam room, and the spa facilities. The Queen Elizabeth II Fun Park lies on the north-eastern side of the city, next to the Ascot Links Golf Course, where it is a major entertainment complex highly suitable for families. With many exciting outdoor activities, including fast rides, miniature golf, motorbikes, car exhibitions, a maze, picnic spots and family barbecue areas, the park is within easy reach of the city centre, Broad Park and Waimairi Beach. Lollipops Playland is a popular indoor children's play centre, situated on the south side of the city and within an industrial-style warehouse fronted by a small car park. Containing soft play areas, climbing toys, ball pits and much more besides, other highlights include family seating areas and a café selling basic refreshments. Ferrymead Historic Park is an interesting heritage theme park located roughly 20 minutes to the south-east of the city centre, being close to Mount Pleasant and Heathcote Valley. Full of historic attractions, such as transport museums, steam trains, electric trams and reconstructed village areas, Ferrymead celebrates New Zealand's Edwardian past in real style. The restored steam trains run each Sunday during the summer months (December to February) and outside of this time, only on the first Sunday each month (March to November). An onsite gift shop, tea room and bakery provide further interest, along with seasonal events such as Grandparent's Week in January and the Waitangi Weekend each February.